ZONEX Enclosures are designed and certified to meet ATEX Directive 94/9/EC as well as IECEx and AEx standards for increased safety in housing electrical components in Zone 1 and Zone 2 applications. 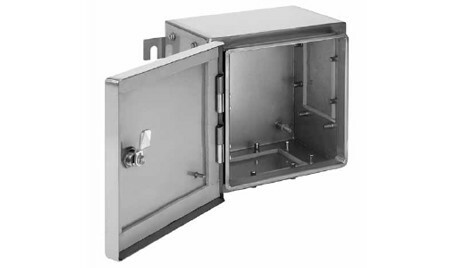 Hoffman’s ATEX Ex e enclosures are not intended for use in explosion-proof or flame-proof applications. Download the ZONEX Enclosures spec sheet below or call 714.835.6211 for more information.